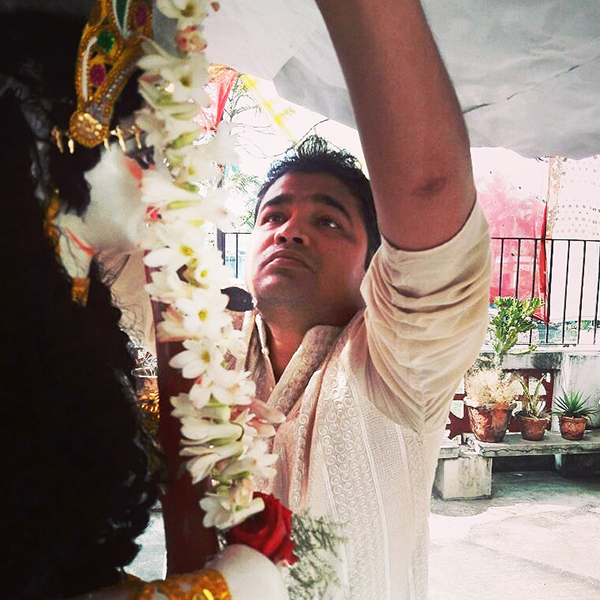 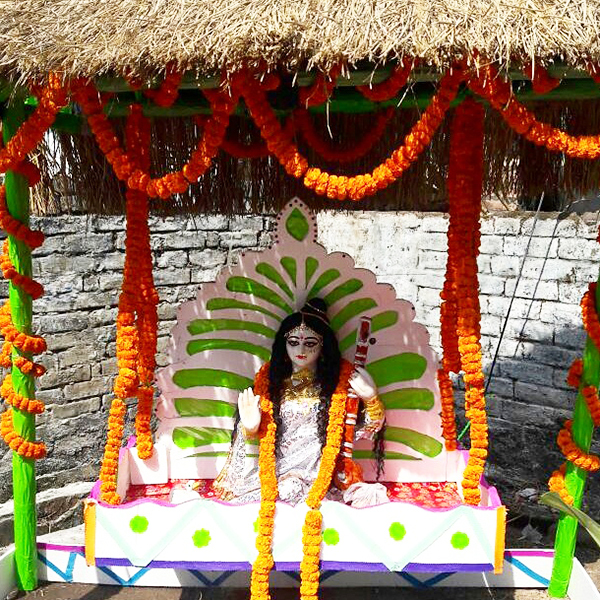 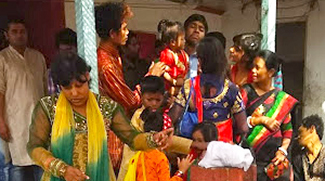 Every year Saraswati Puja is celebrated on the roof of the shuktara boys' home. 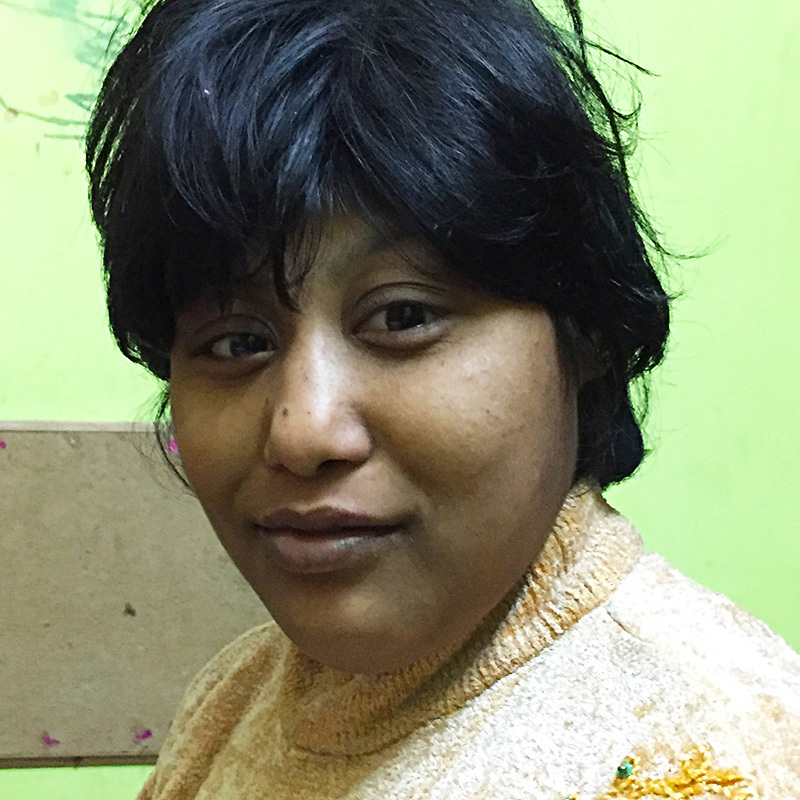 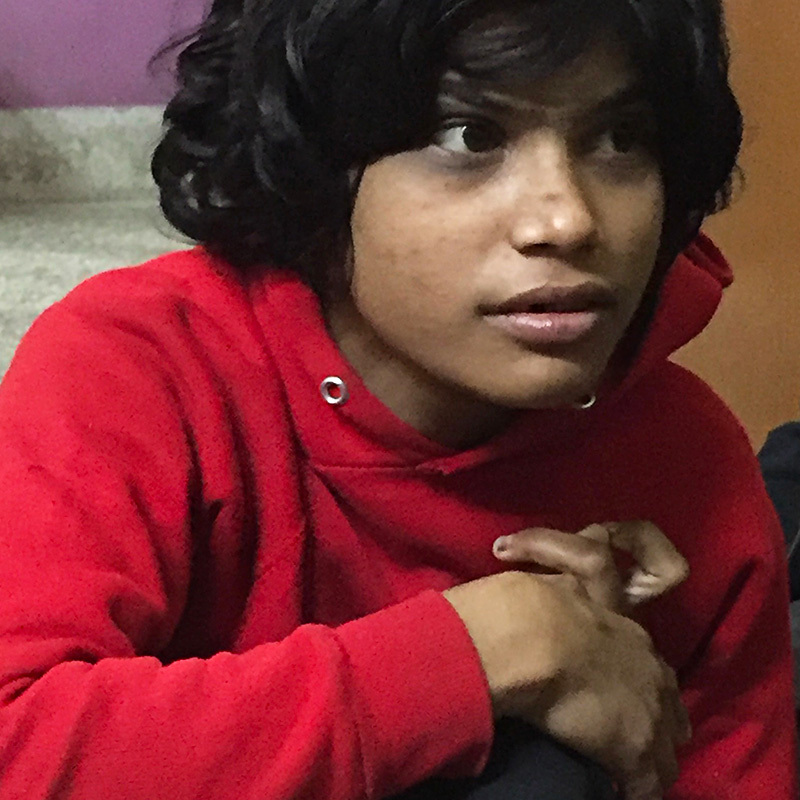 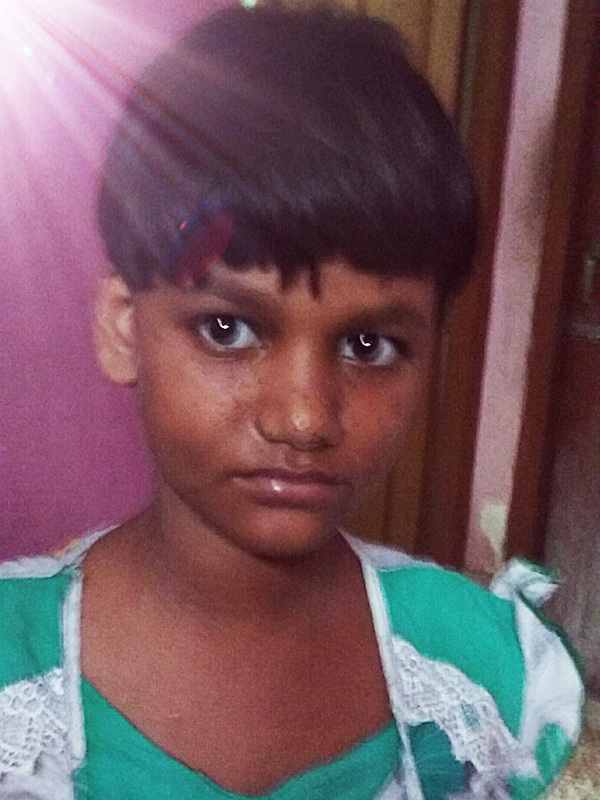 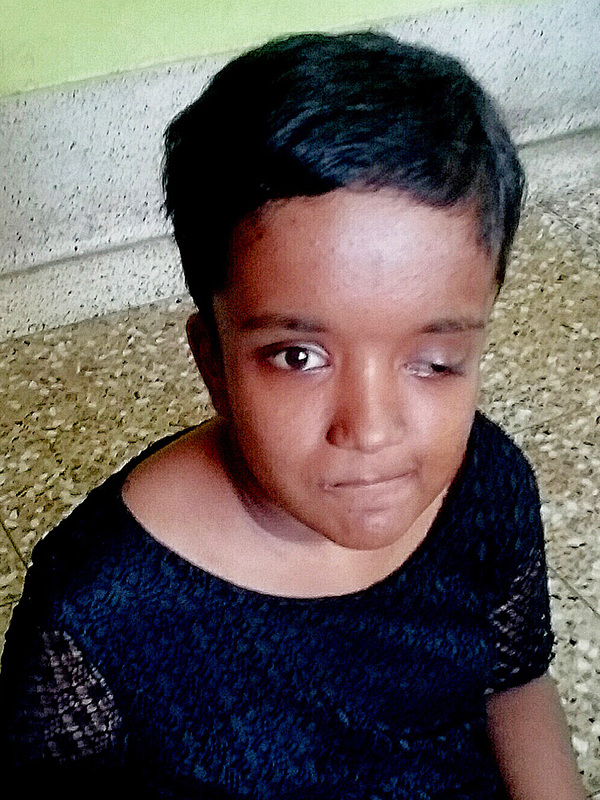 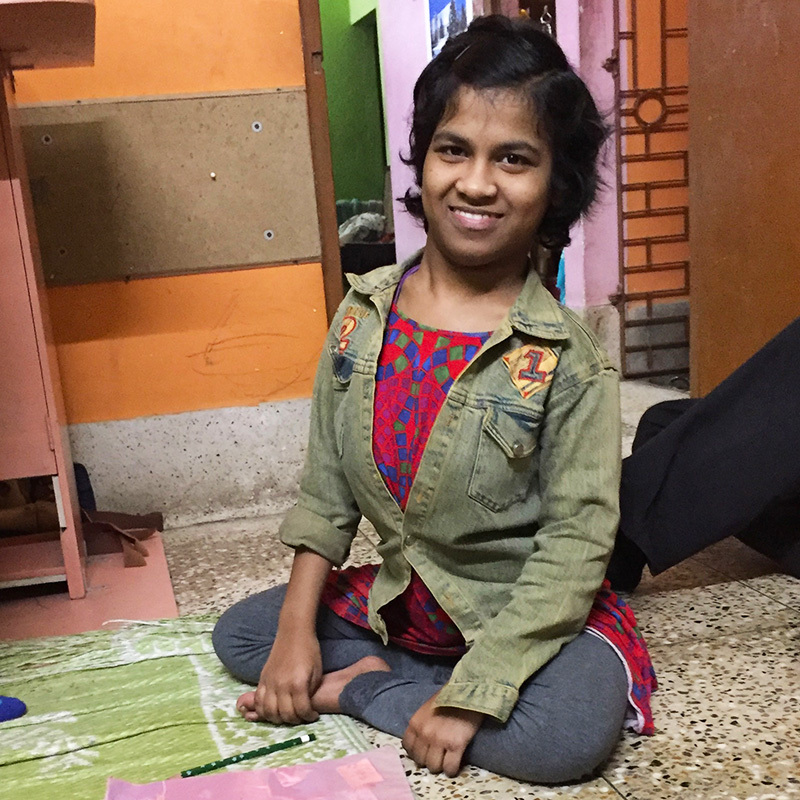 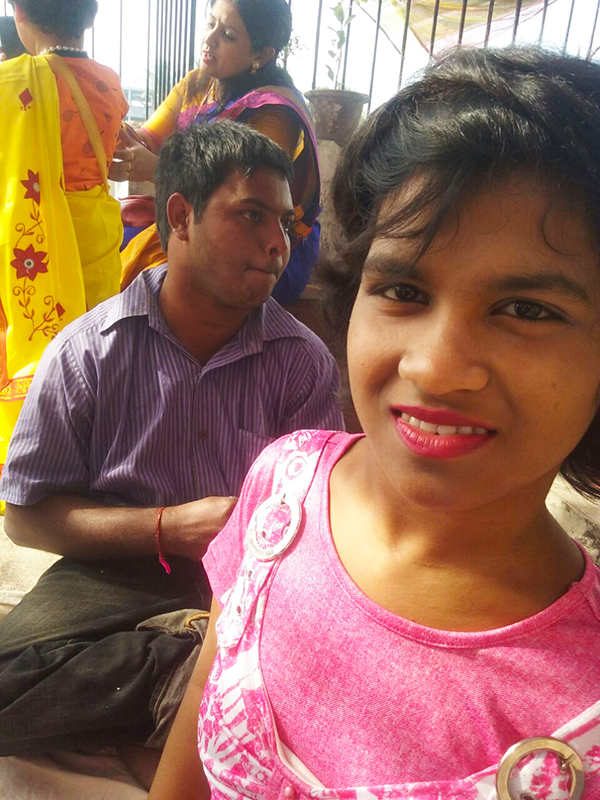 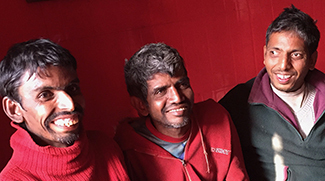 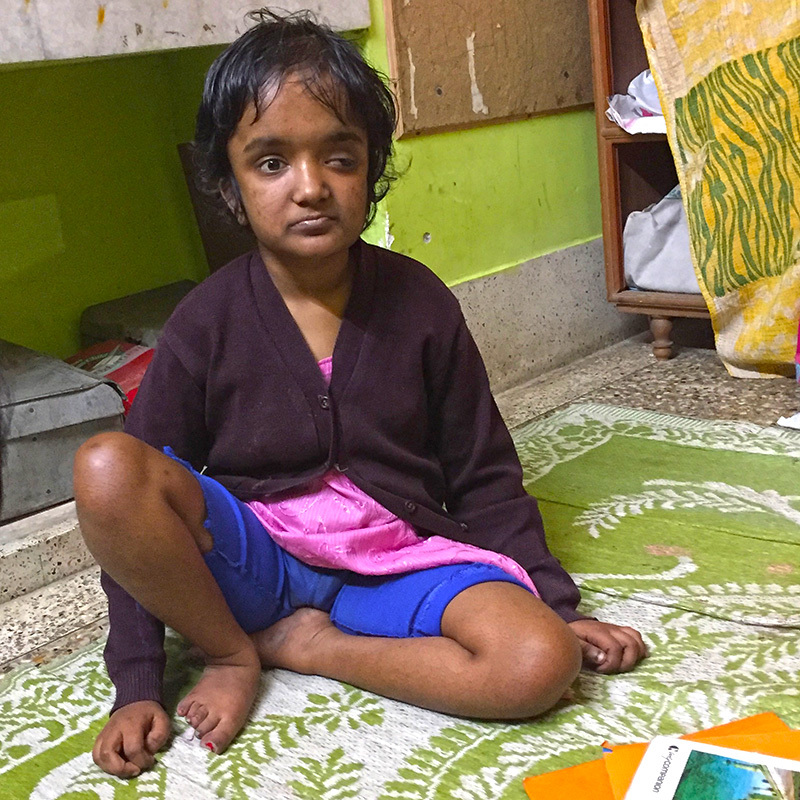 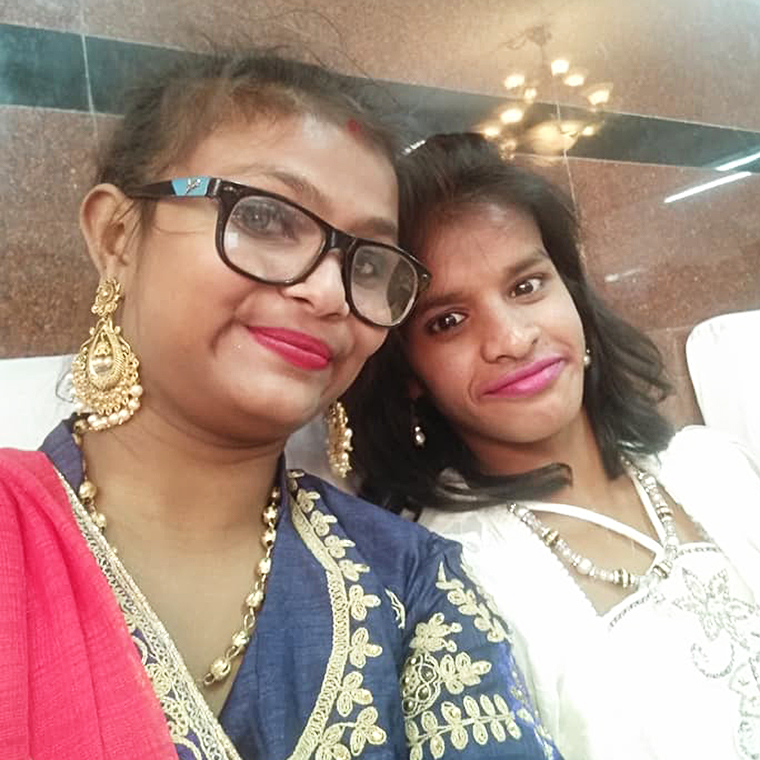 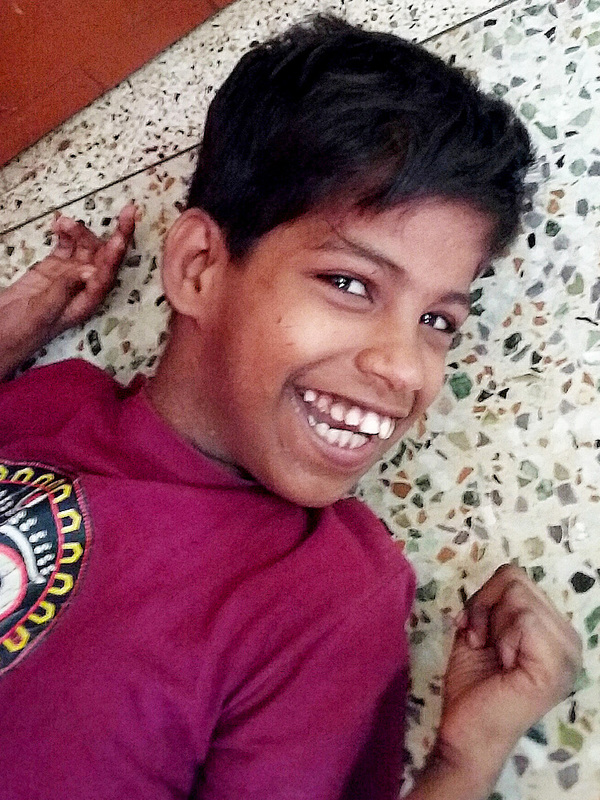 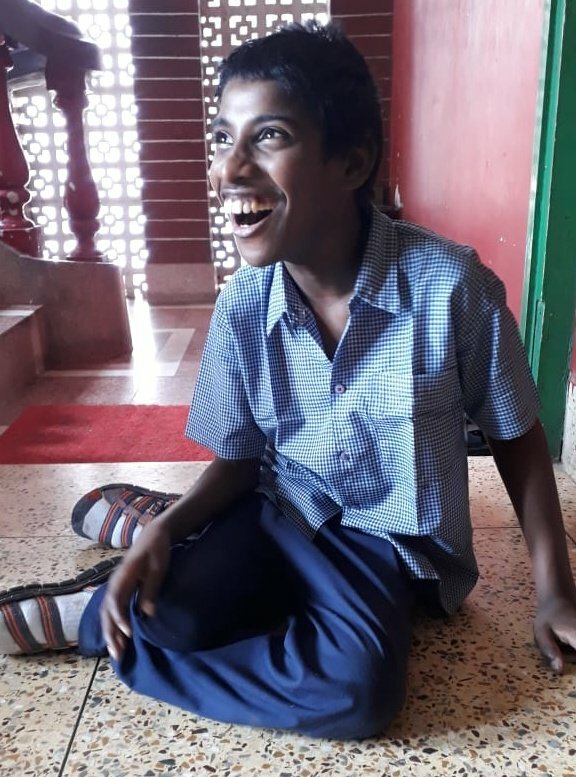 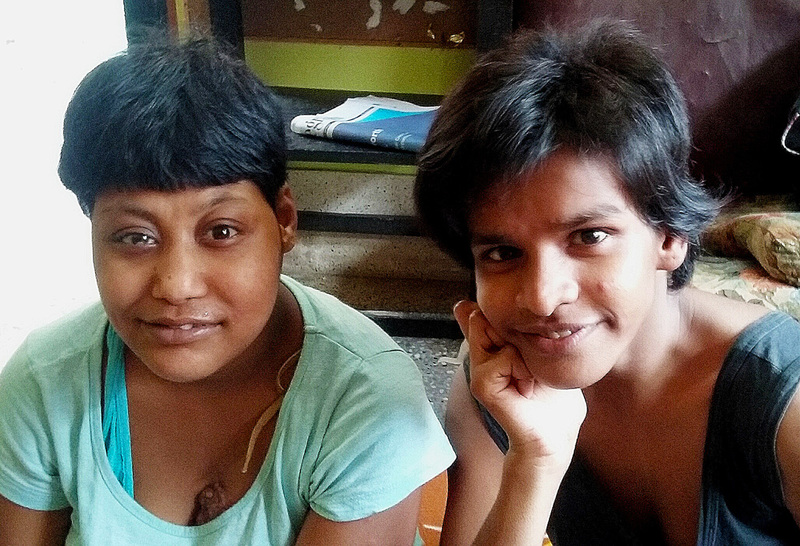 All of the young people at shuktara eagerly anticipate wearing new clothes and having kedgeree and prasad. 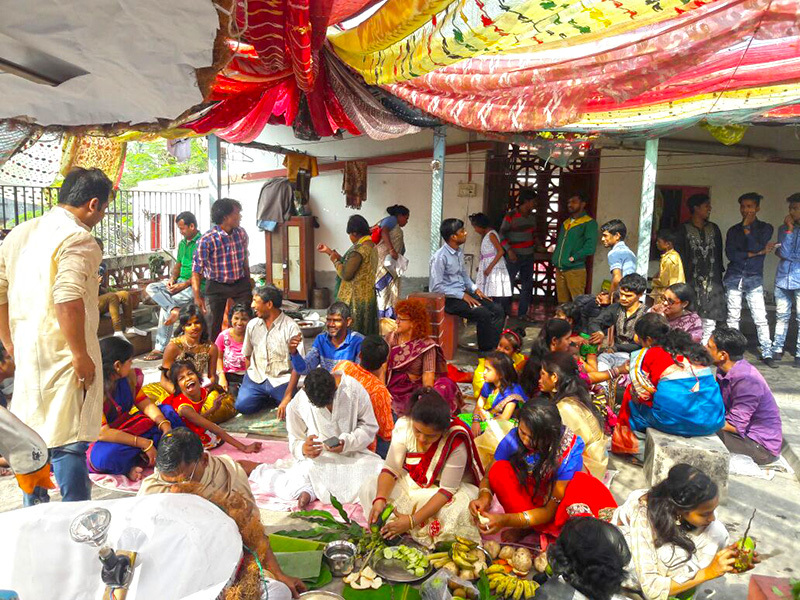 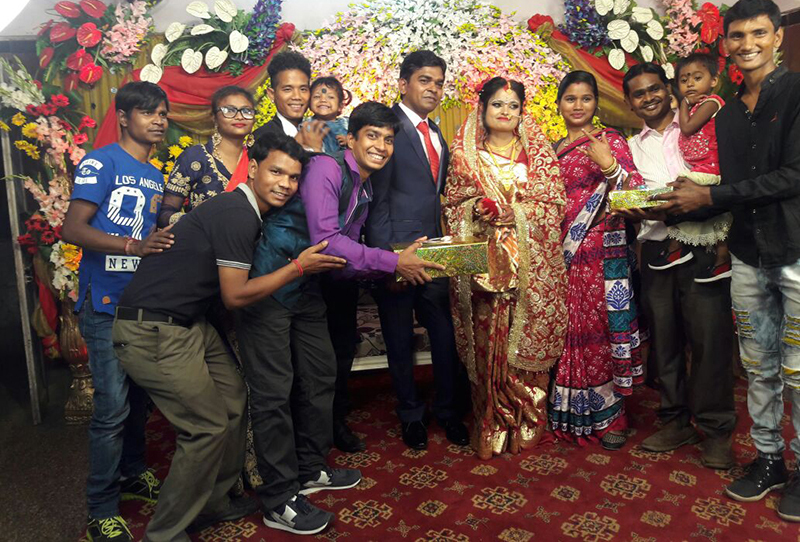 Friends and family are invited to this puja and as you can see, there is always quite a crowd of people having a wonderful time. 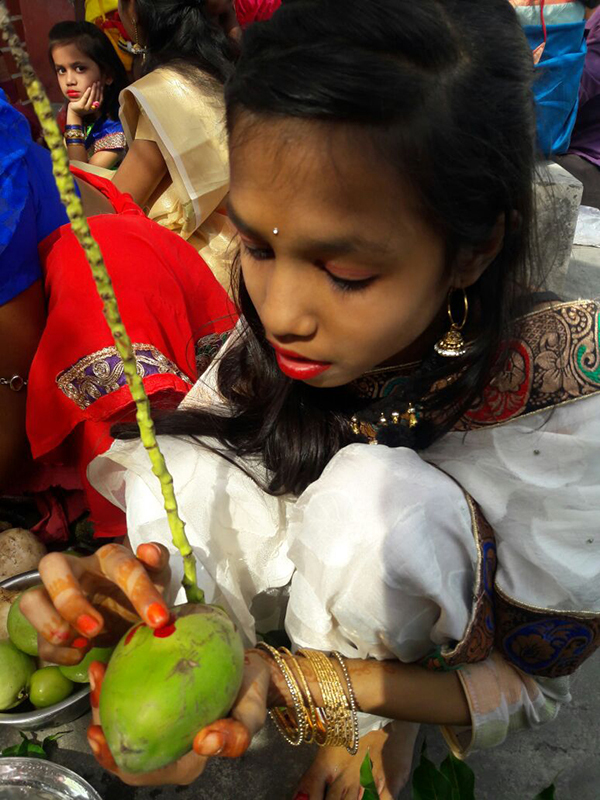 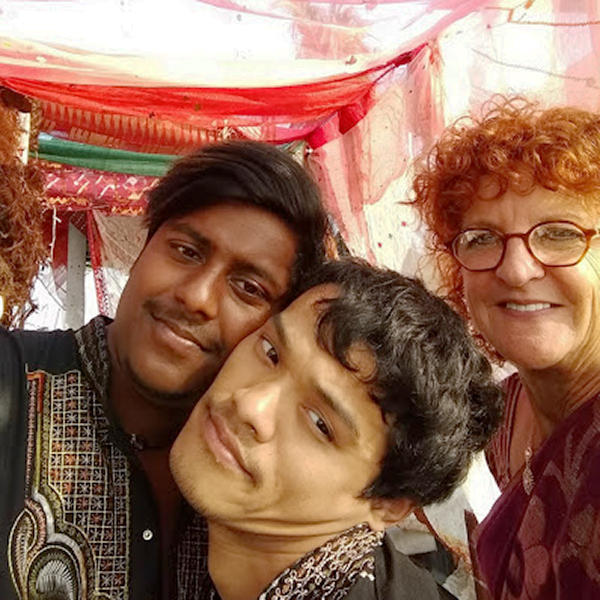 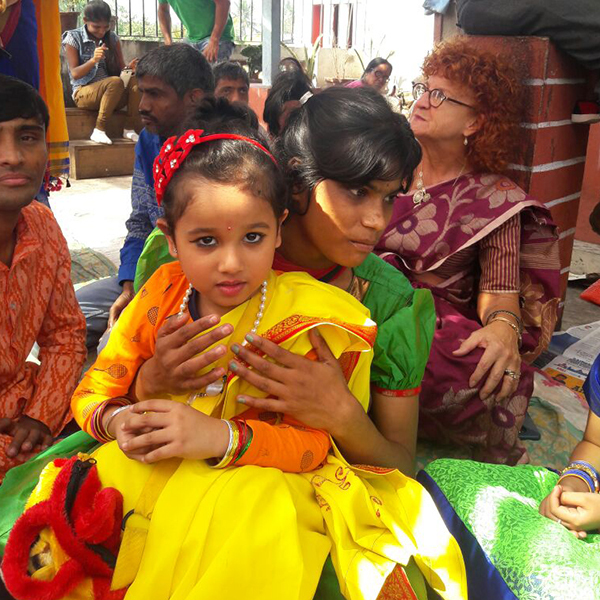 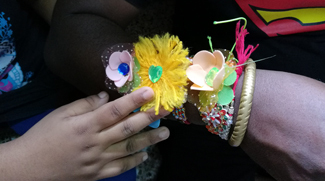 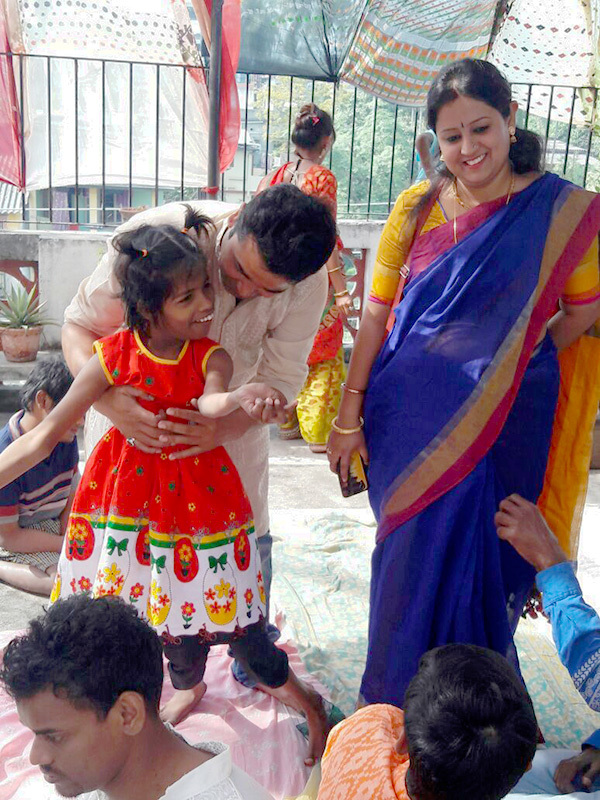 Lots happening at shuktara yesterday for Rakhi Full Moon Festival. 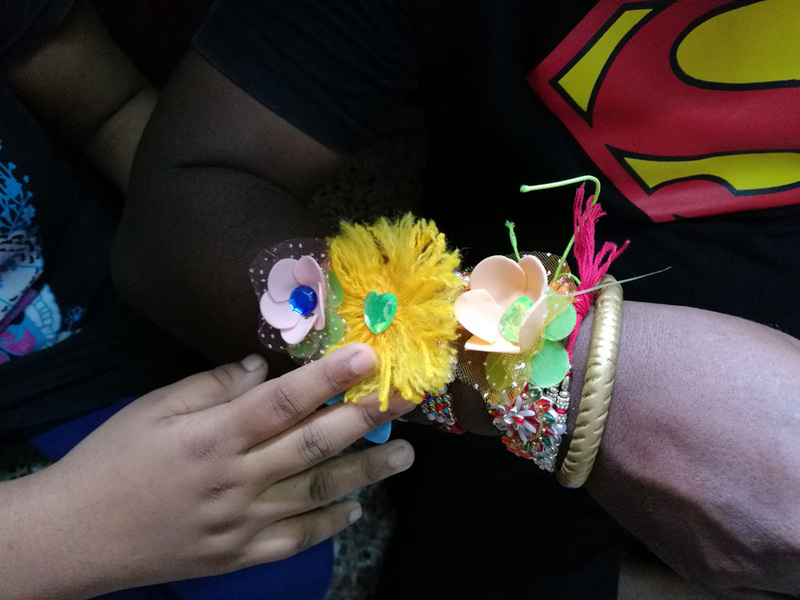 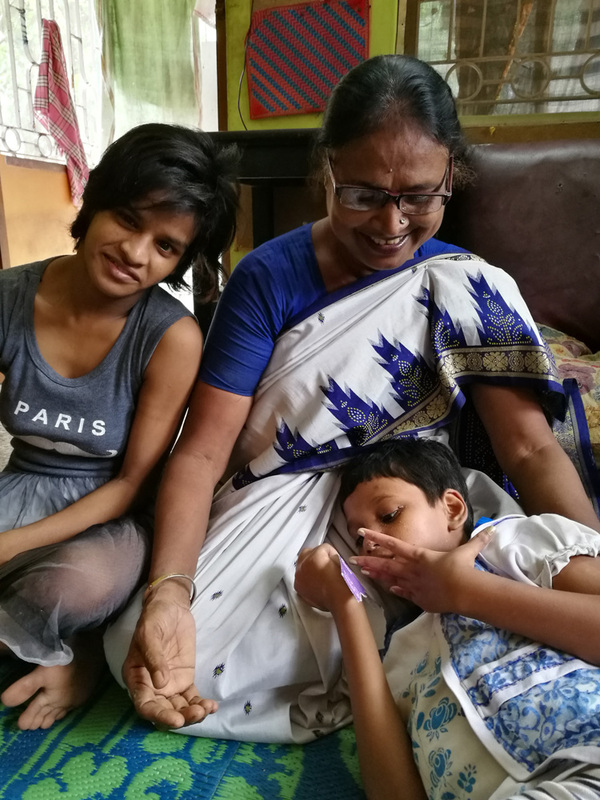 We had a visit at the boys house in the morning from Raja and his family so that his wife could tie Rakhi for the boys who live here. 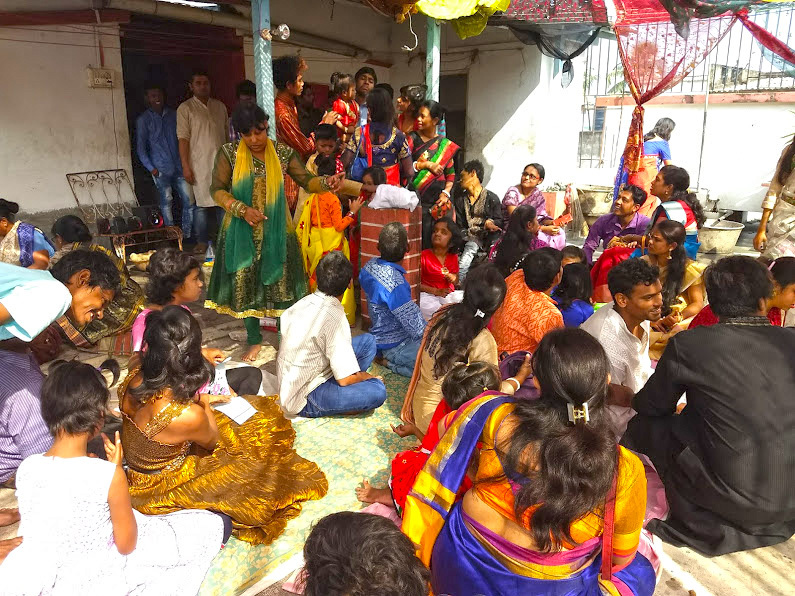 At Lula Bari they had made threads for Pappu and Swapan. 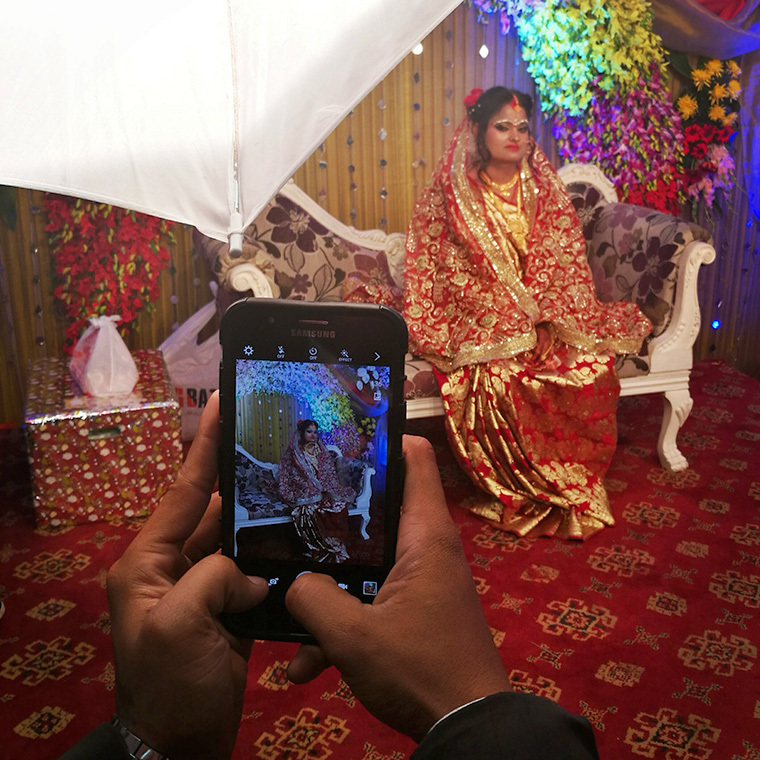 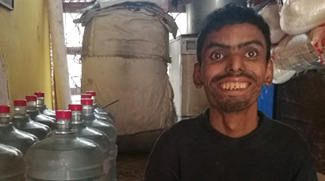 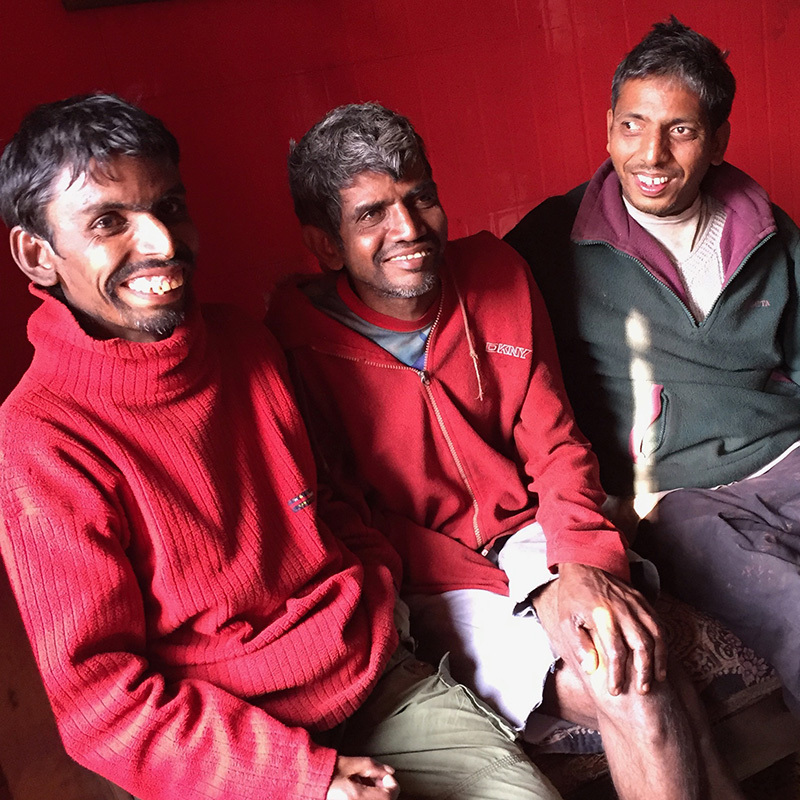 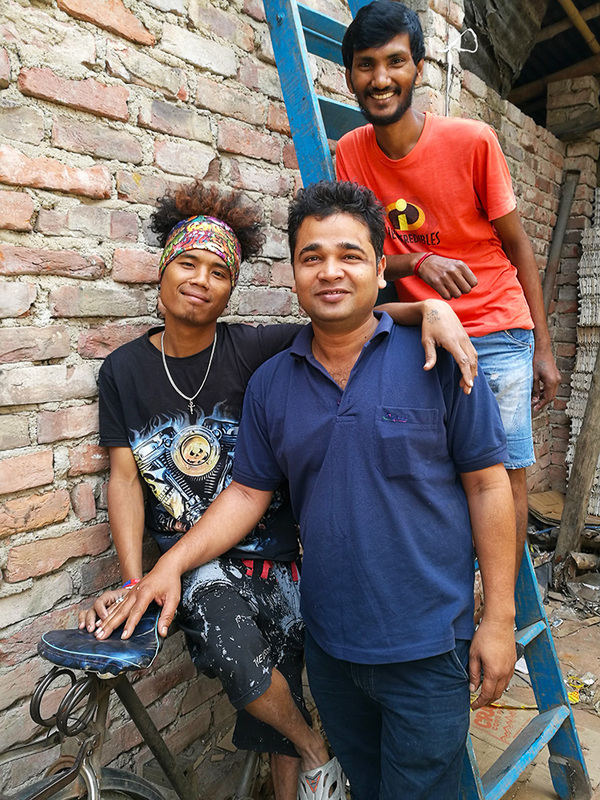 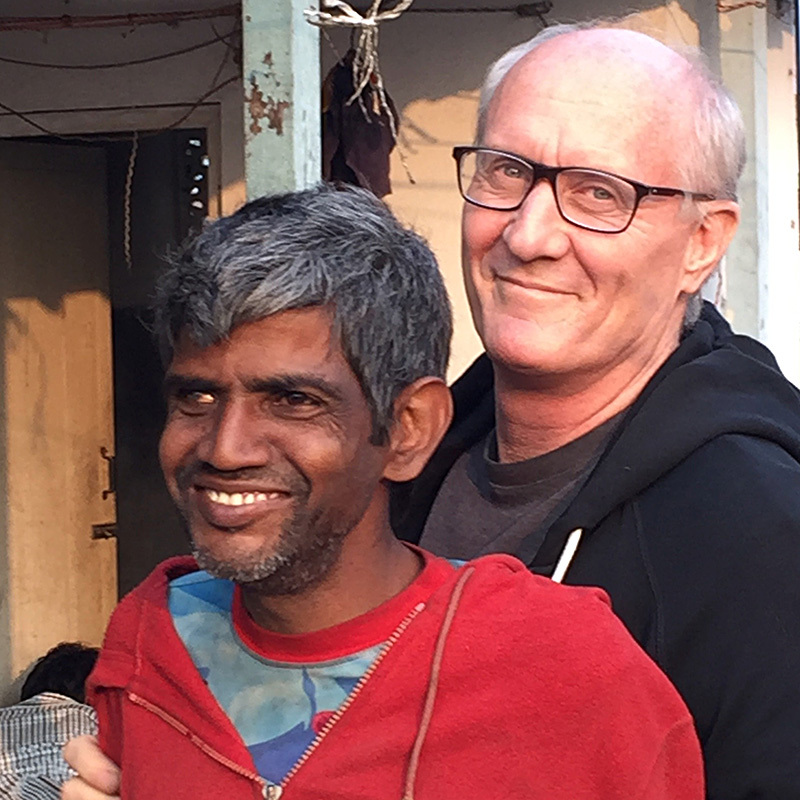 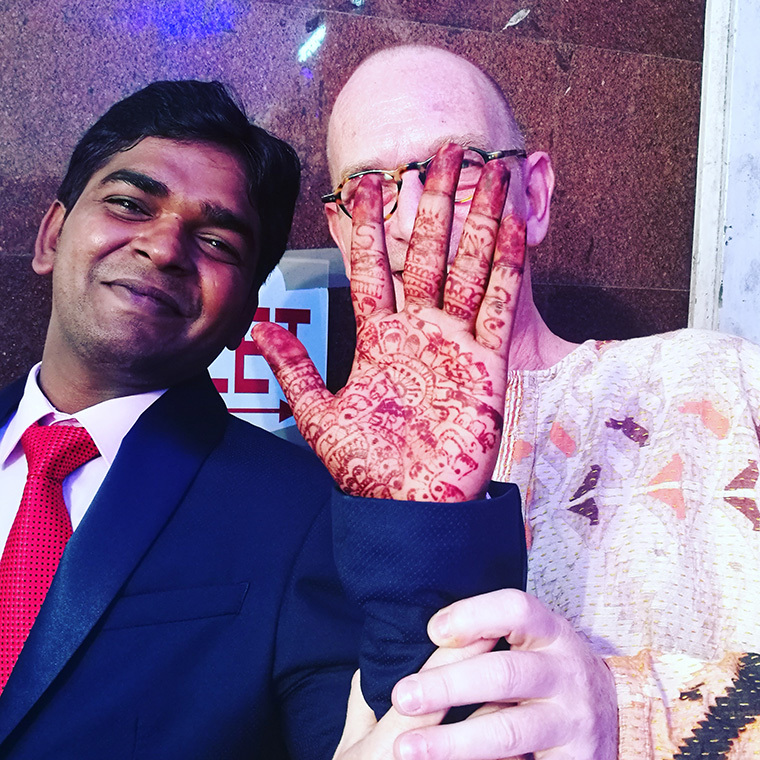 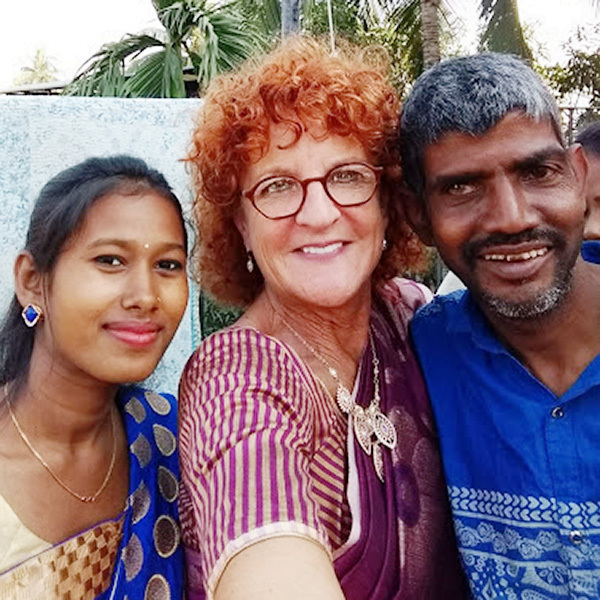 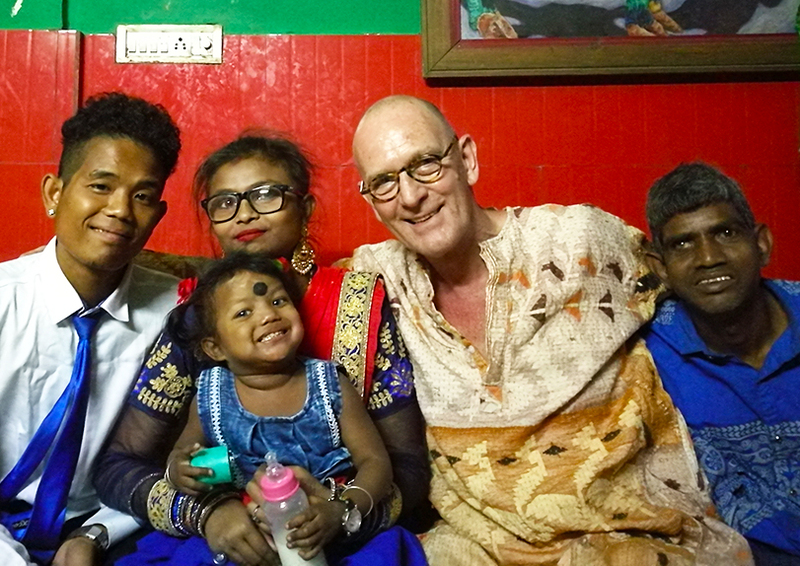 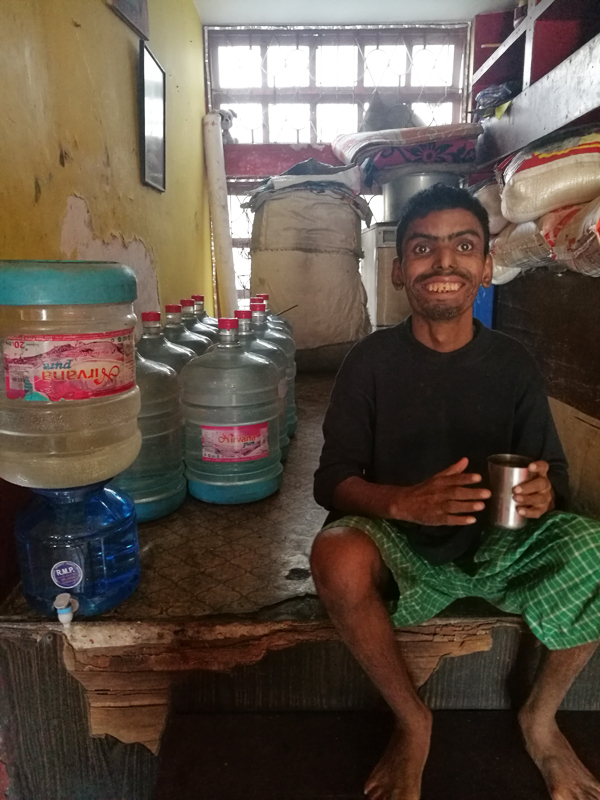 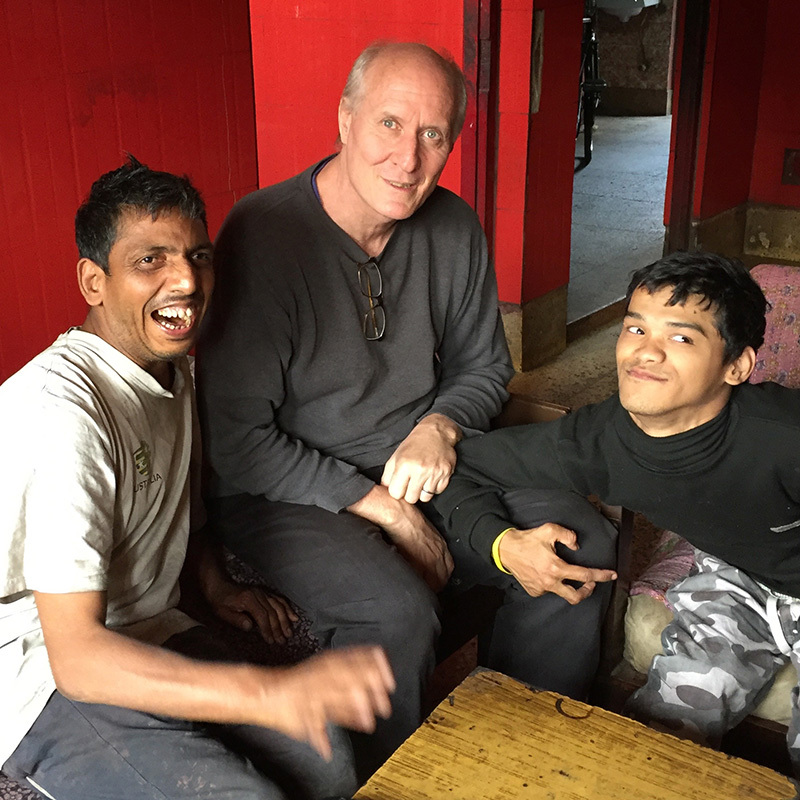 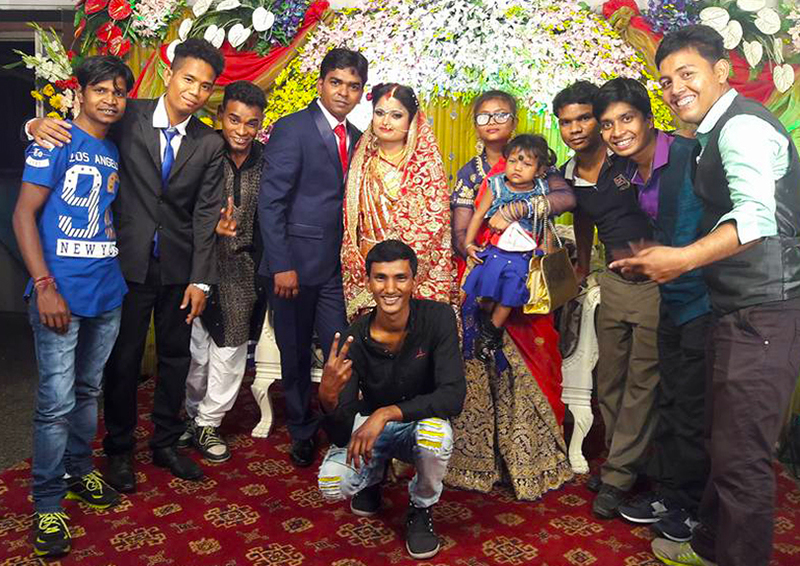 shuktara started on 1st July 1999 so yesterday we celebrated our 18th anniversary! 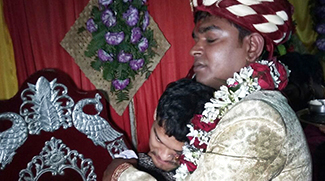 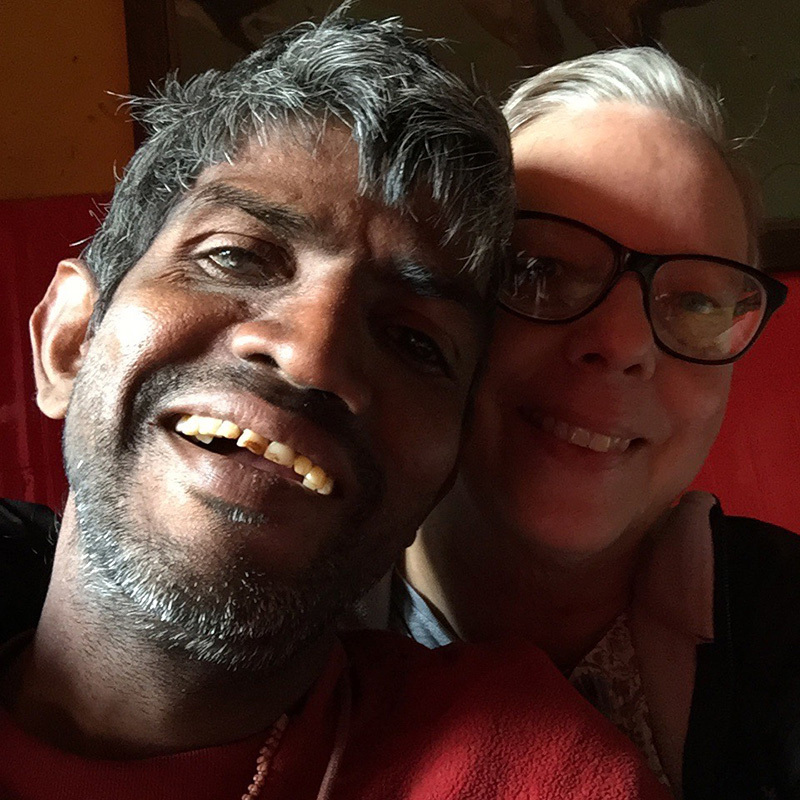 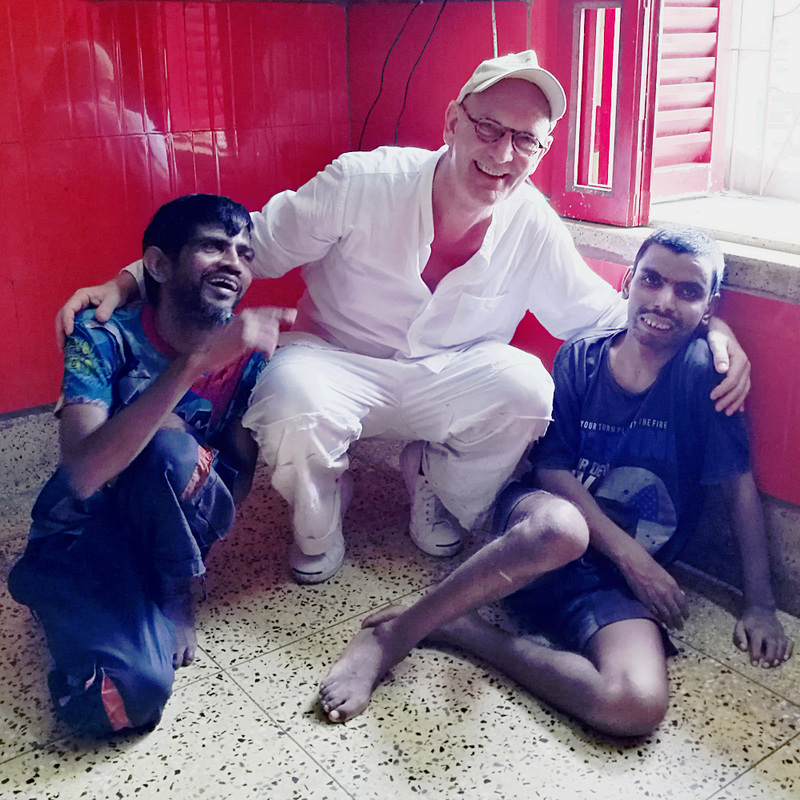 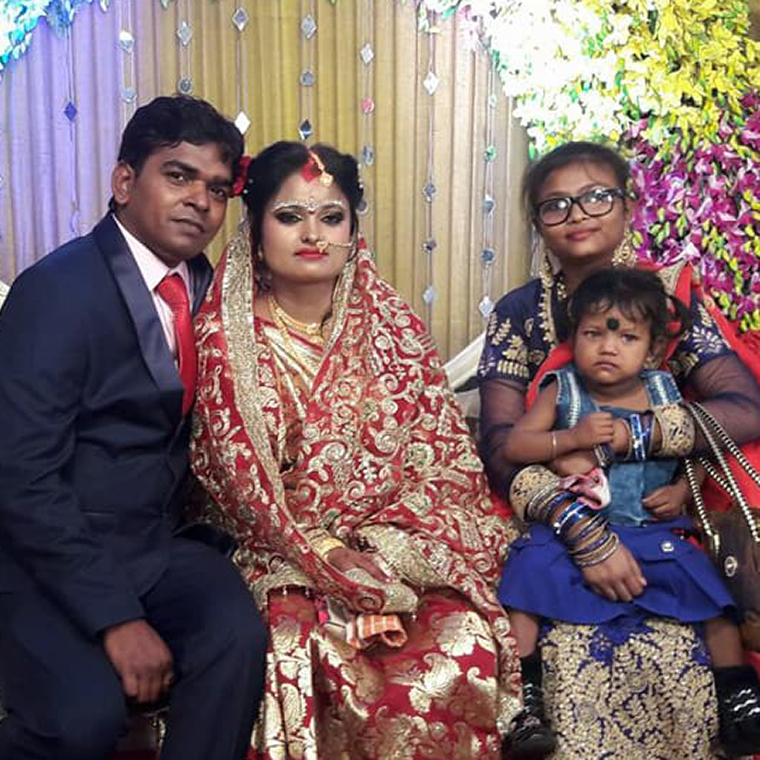 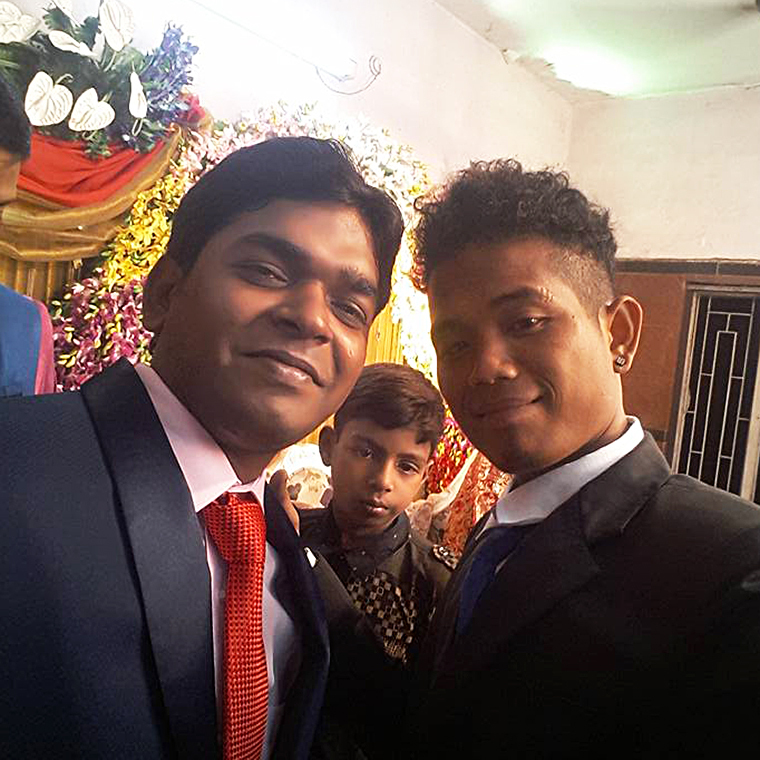 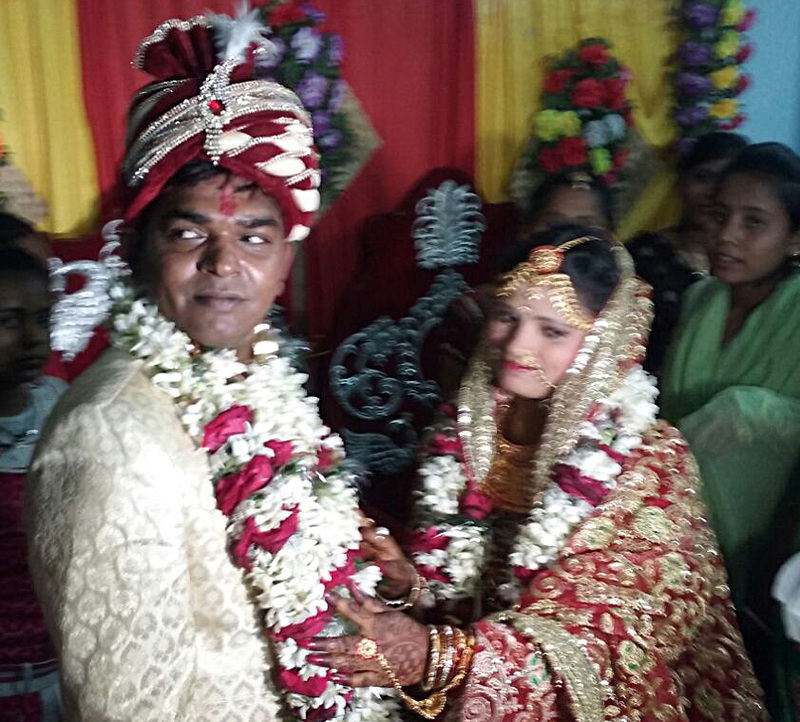 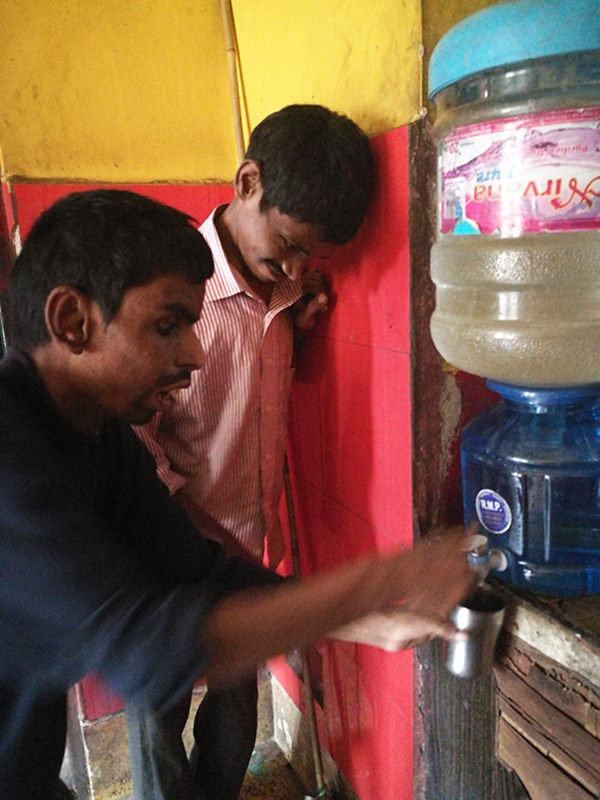 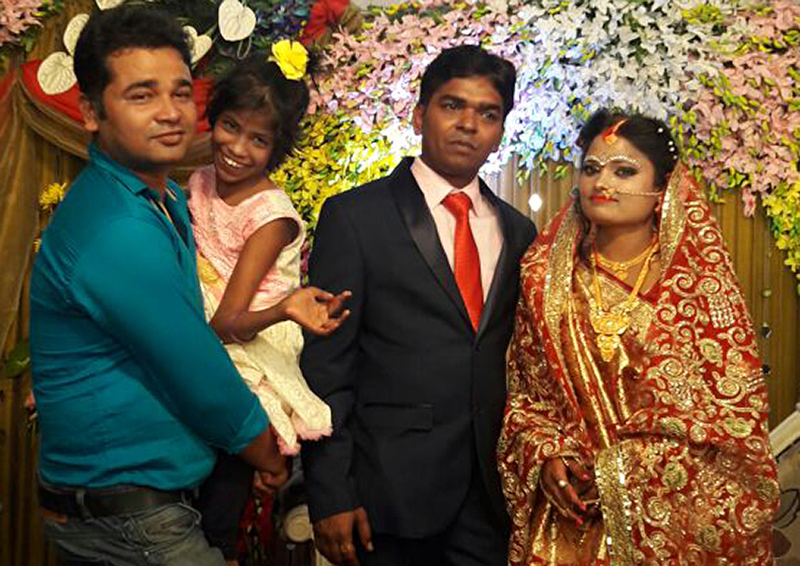 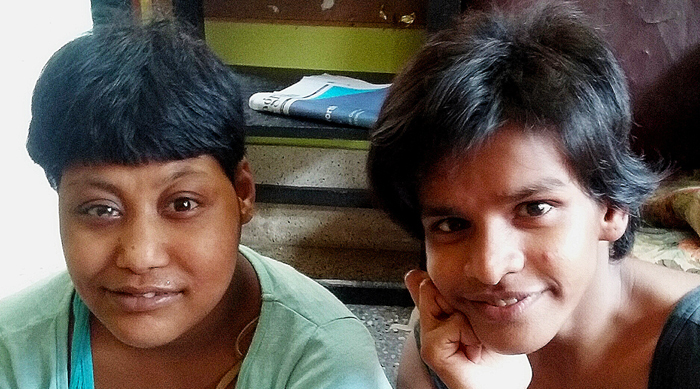 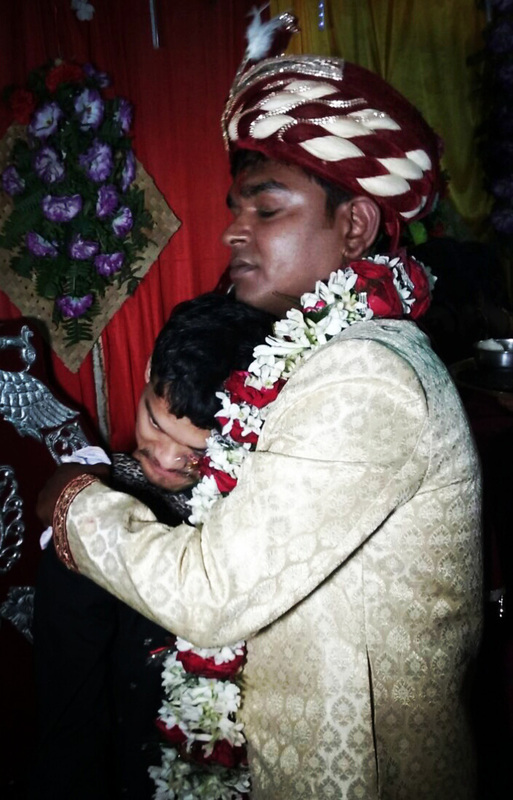 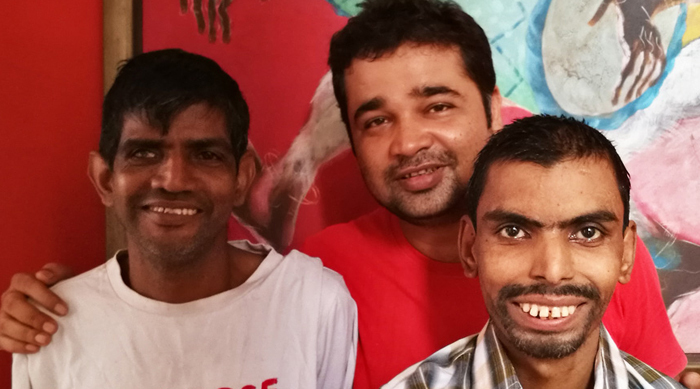 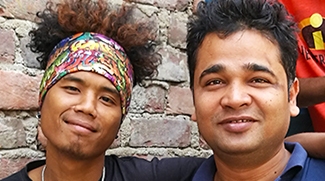 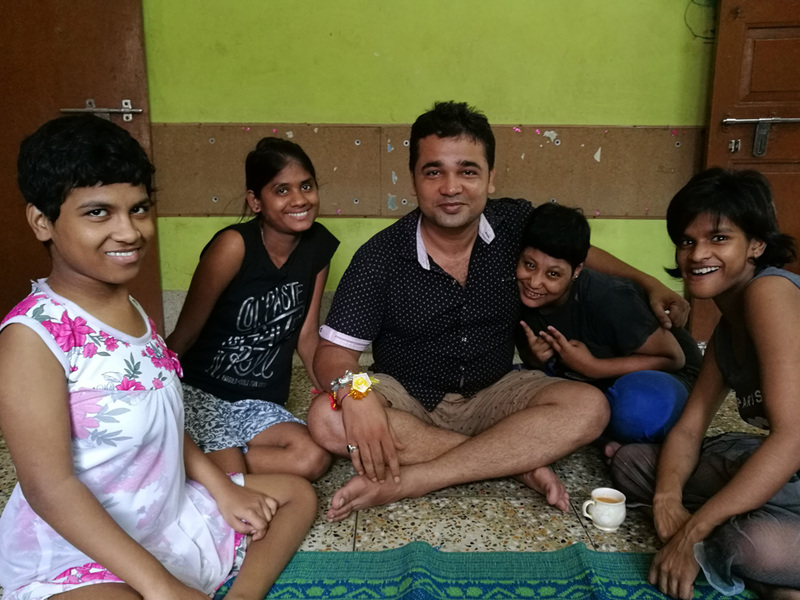 Sunil and Anna were the very first young people to come to shuktara on this day. 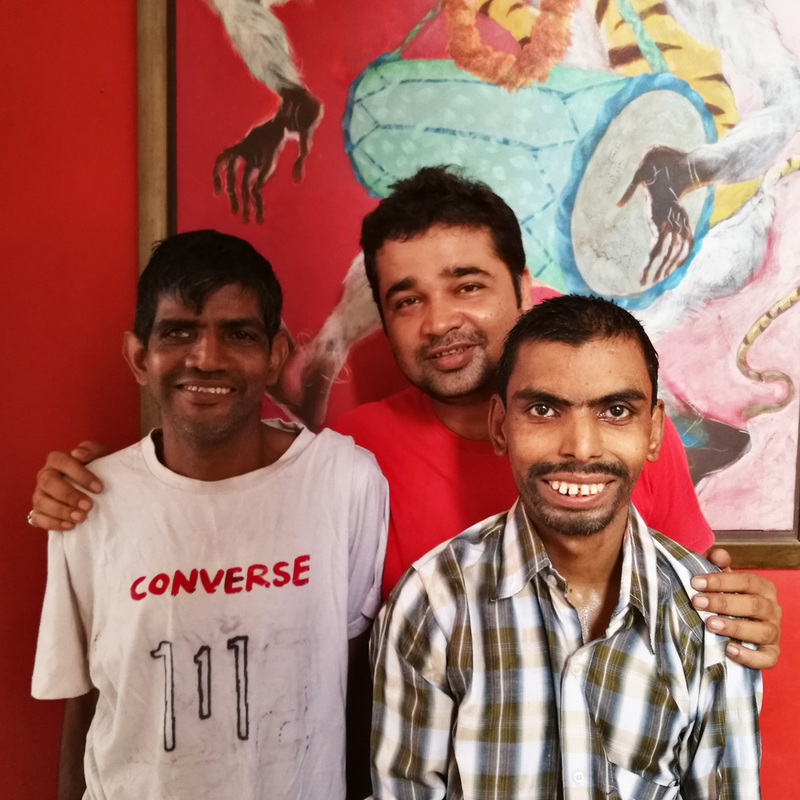 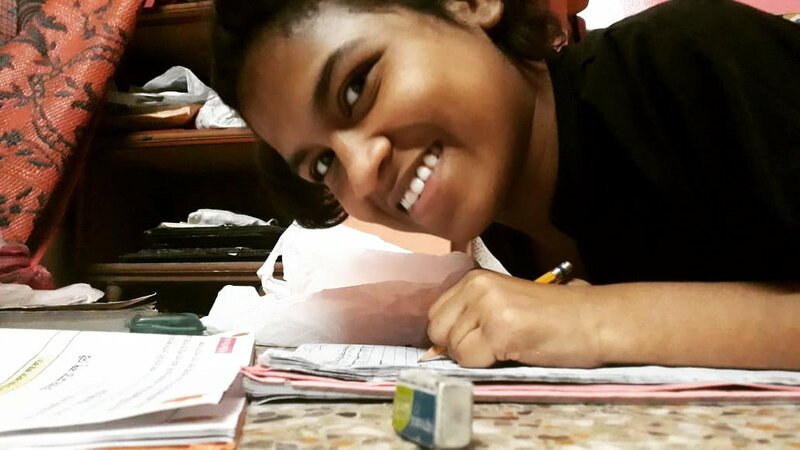 Today shuktara has two homes where 23 young people live as a family. 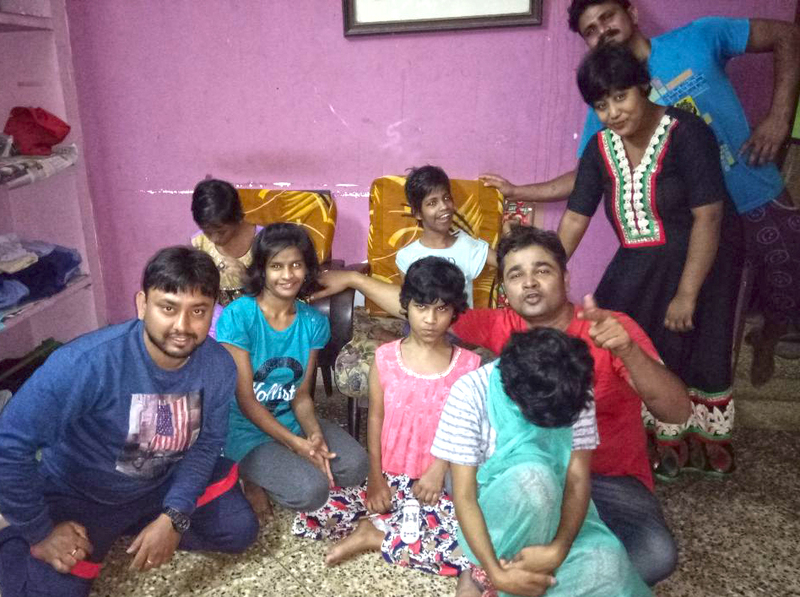 The original idea was to give young people with disabilities a real home, somewhere they could feel safe and know was their forever home. 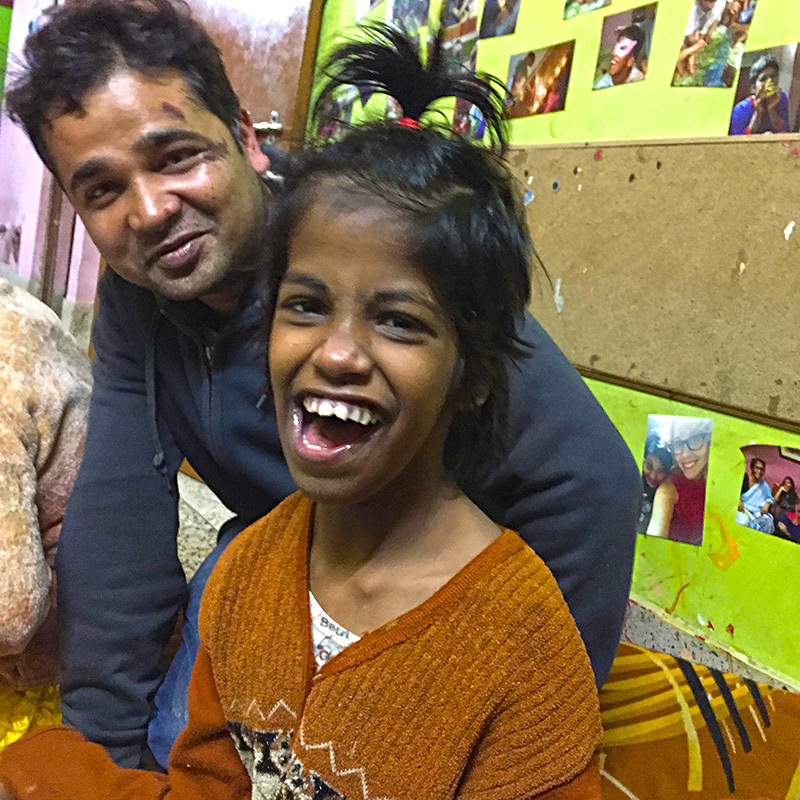 Just look at Anna’s smile because that says more than we could ever express in words. 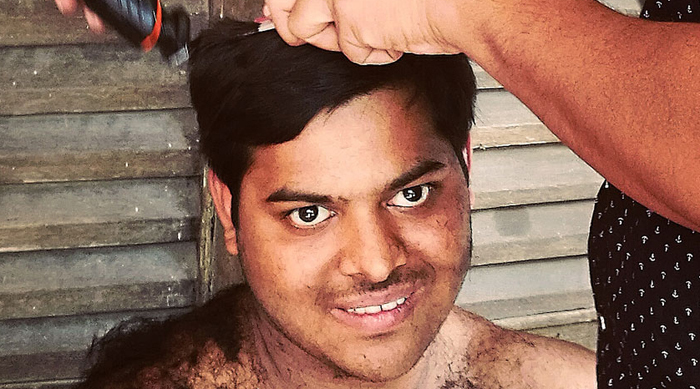 All the girls at Lula Bari had hair cuts from Pappu who is the only person they will let touch their hair! 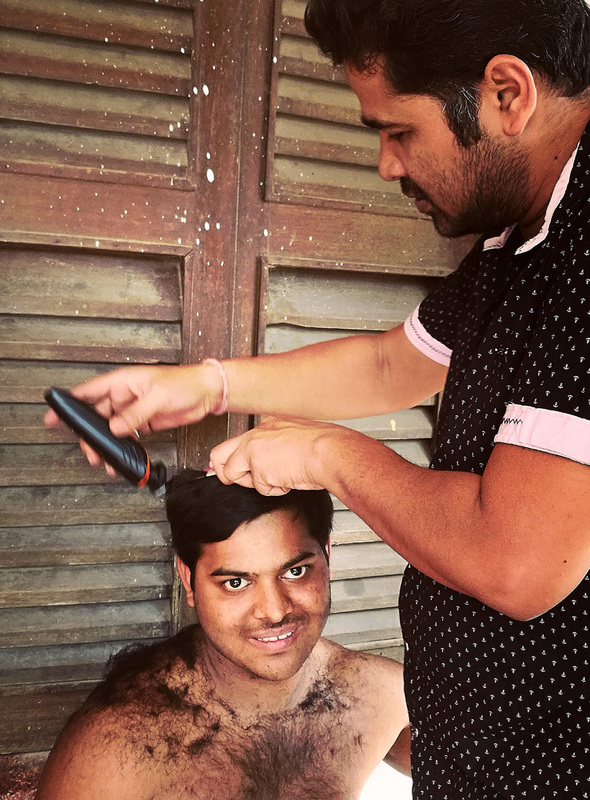 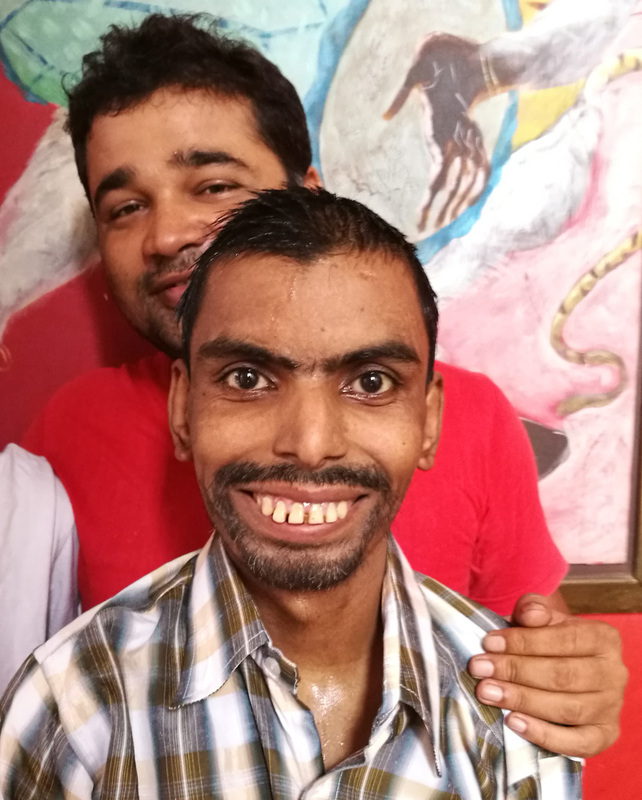 Yesterday Pappu Mishra chairman of shuktara cut the hair, shaved the beards and cut the fingernails and toenails of all the boys at shuktara.